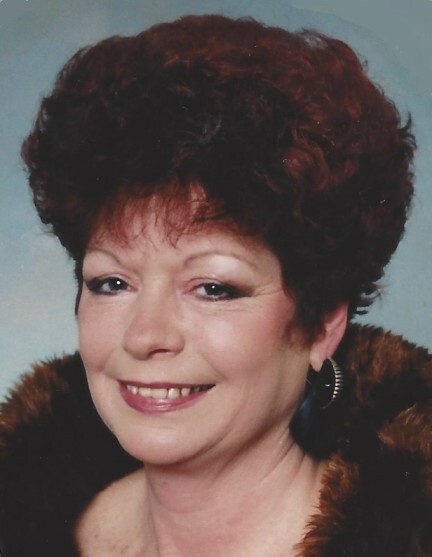 Obituary for Nancy Annetta (Sickles) Maxwell | James C. Stump Funeral Home Inc.
Nancy Annetta Maxwell, 79, of Rostraver Township, died Saturday, December 1, 2018. Born in Hazelkirk PA on December 28, 1938, she was the daughter of the late Ralph Vincent and Violet Irene(Huff) Sickles. Nancy was a meat wrapper for many years and was also self-employed. Nancy Maxwell was a powerful force of love, fierce in defense and quick to forgive. Her sense of humor was second only to her pride of being a Mother and Grandmother. Her wit and passion for family remains with her loved ones in her absence as she "changes her address," to be with the Lord. She is survived by her daughters, Terijo Maxwell of Rostraver and Lisale Maxwell-Pavlik and husband Andy of Monessen; grandchildren, Thomas Michael Erhardt and wife Laura and Elainale Calderone; great grandchild, Ayla Marie Lockhart; brother, George Dewey Sickles of Rostraver; and sister, Violet Irene Moore of Alaska. In addition to her parents, she was preceded in death by her brother, Homer Sickles. Friends will be received on Tuesday from 2 to 4 and 6 to 8 p.m. in the James C. Stump Funeral Home Inc., 580 Circle Drive, Rostraver Township (724-929-7934) www.jamesstumpfuneralhome.com where a Funeral service will be held on Wednesday at 10:00 a.m. with Pastor Ken Sommerfeldt officiating. Interment will follow in Mon Valley Memorial Park.